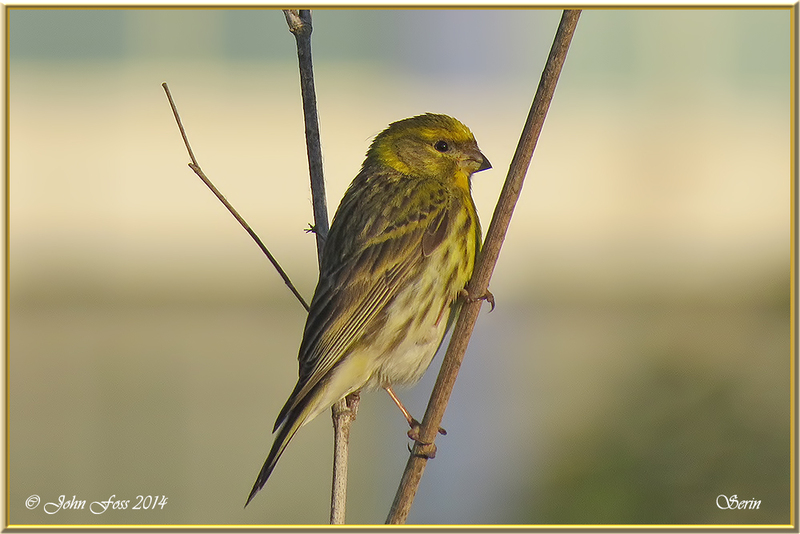 Serin - Similar to our Siskin. 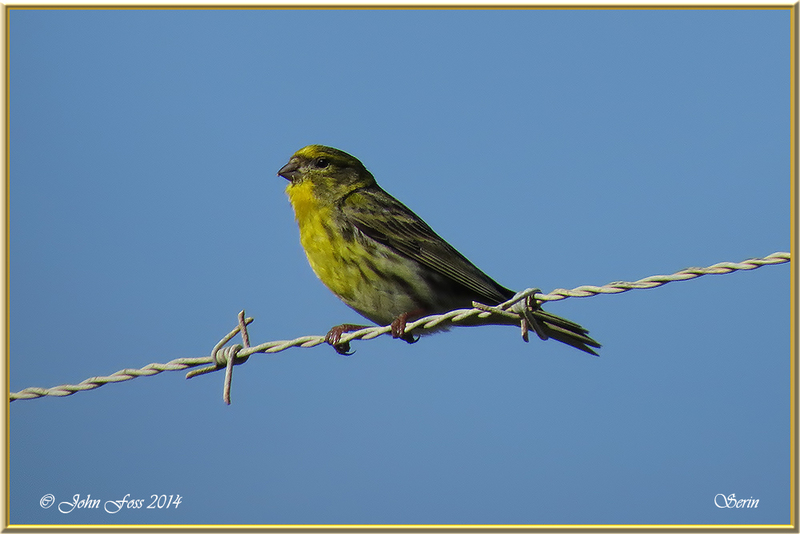 The Serin is only common in the UK on passage and a rare breeder here. They prefer to be in open mixed woodlands, parks and gardens. I saw quite a few of these little birds in the Algarve at Praia Da Rocha Portugal where these were photographed. They often drew my attention as they sat perched singing their heart out!